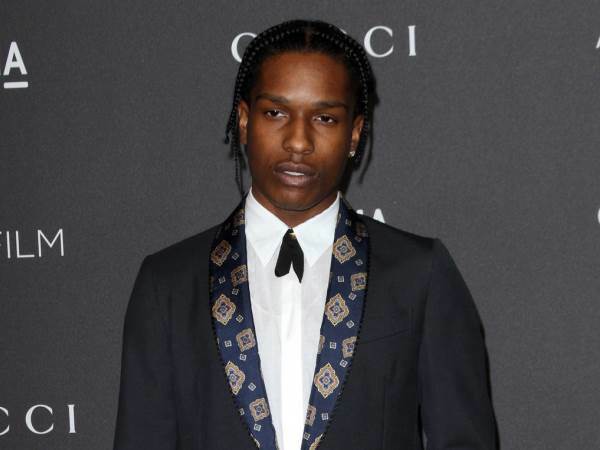 Rapper A$AP Rocky reportedly made his relationship with Kendall Jenner official in London last weekend. According to editors at British newspaper The Sun, the Wild for the Night rapper attended rock band The Who's Teenage Cancer Trust show at London's Royal Albert Hall, with the statuesque model. And after months of speculation, the couple allegedly didn't hold back on the affection as they watched the show. A$AP and Kendall have been spotted hanging out together in Los Angeles and Paris on numerous occasions, but sources close to the stars claimed the rapper, real name Rakim Mayers, and the reality star were just friends. The 21-year-old model and rapper were first snapped partying in Paris in June last year. And last month, the 28-year-old Harlem native was seen strolling through the streets of Paris during the city's Haute Couture Fashion Week with the young star of the Kardashian-Jenner clan. Kendall was also the guest of honour at his party last month, celebrating the Guess Originals x A$AP Rocky Guess Club collection, created by the denim giant and designed by the hip-hop and fashion star. The rapper previously dated Kendall's model pal Chanel Iman for a year, while Kendall has also been romantically linked to basketball player Jordan Clarkson. One person who may not be so keen on the revelation of the new romance is the rapper's stepmother Kari Mayers. Kari married Rakim’s late father Adrian in 1997 and the pair went on to have six sons together. In an interview with Daily Mail Online, she slammed the Kardashian family calling them a "bad family" and insisted that he "can do so much better". "Everything I hear about the Kardashians makes me think they are a bad family for Rakim to be involved with," Kari told Daily Mail Online when asked about the rumours last year. "I don’t want him being dragged into that circus, he is too good for that and can do so much better."